Below you can view all the homes for sale in the Brookhaven subdivision located in Kennesaw Georgia. Listings in Brookhaven are updated daily from data we receive from the Atlanta multiple listing service. To learn more about any of these homes or to receive custom notifications when a new property is listed for sale in Brookhaven, give us a call at 404-998-4102. Patio Overlooks Level Backyard. - Thanks For Showing! MLS#6536491. Drake Realty, Inc.
Patio Overlooks Level Backyard. - Thanks For Showing! MLS#8563359. Drake Realty, Inc.. Plenty Of Shopping And Restaurants Nearby Too! MLS#6533874. Compass. 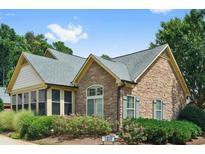 Low Taxes W/Shopping,Ksu,Hospital,Dining-All Nearby.Come Enjoy This Great Home And Low Maintenance Lifestyle! MLS#6530953. Exp Realty, Llc..
Level Fenced Back Yard With Shed And Outdoor Fire Pit. MLS#6530849. Harry Norman Realtors. Huge Bedroom And Closet In Loft MLS#6527075. 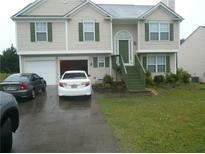 Backyard Realty Group, Llc..
Flex Space Upstairs With Full Shower Bath & Large Storage Closet. Gated Active Adult Community. MLS#6507378. Re/Max Around Atlanta Realty. The Assoc Fee Includes Lawn Maintenance Leaving You Plenty Of Time Totake Advantage Of The Communityamenities. MLS#6127519. Keller Williams Realty Signature Partners.